Marylhurst alum Chiqui Flowers ’09 was named administrator of the Oregon Health Insurance Marketplace in 2017. The Oregon Health Insurance Marketplace, accessible via HealthCare.gov, is where Oregonians go for quality health care coverage and financial assistance. Chiqui Flowers was named administrator in August 2017 after serving as interim administrator for five months. Prior to that, she led the Compact of Free Association Premium Assistance Program, one of the programs offered through the Oregon Health Insurance Marketplace. She was instrumental in the design, implementation and operation of the COFA Premium Assistance Program, created in 2016 through state legislation. The deadline to sign up for 2018 coverage through the Oregon Health Insurance Marketplace is December 15, 2017. Flowers has been working hard to spread the word, ensuring Oregonians who need coverage know about the deadline and available incentives. “People who need coverage and haven’t enrolled at HealthCare.gov could be leaving money on the table,” Flowers said in a recent news release which stated in 2017, the majority of Oregonians using the marketplace qualified for financial assistance — more than 70 percent. “So this year, individuals who make less than about $48,000 per year, or families of four making less than about $98,000 per year, may qualify for a tax credit to help pay for their health insurance,” she said. 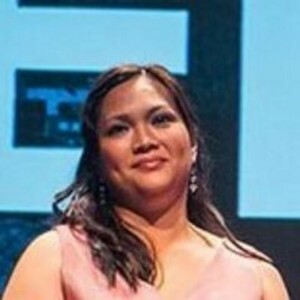 Chiqui Flowers earned her bachelor’s degree in communication from Marylhurst University in 2009.